Terry Todd is currently a member of Texas Association of Realtors (TAR), National Association of Realtors (NAR), San Antonio Board of Realtors (SABOR) and is certified as Military Relocation Professional (MRP). 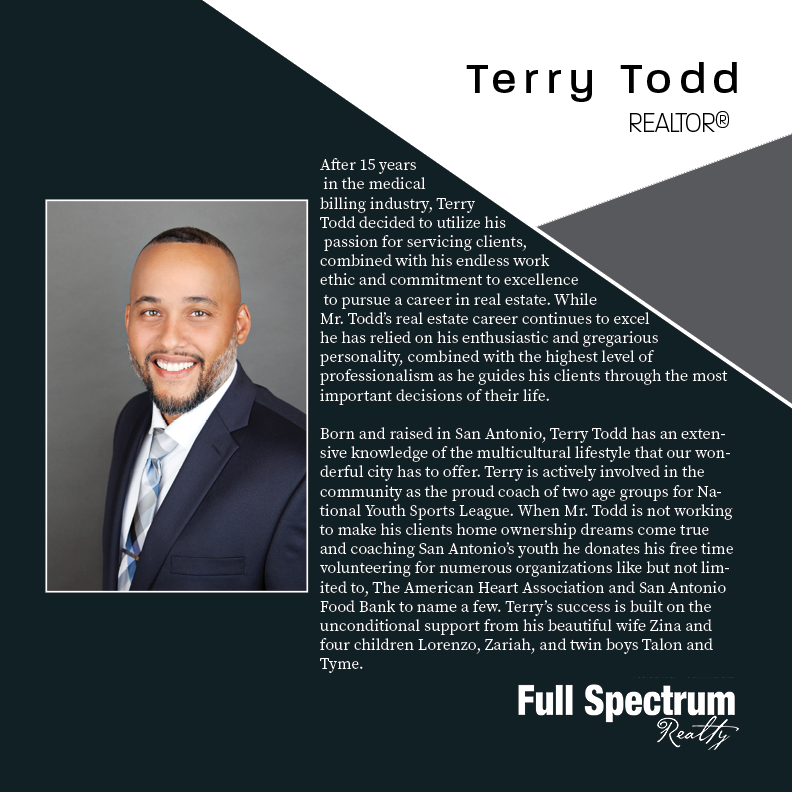 Terry Todd and Full Spectrum Realty is your one stop shop for all residential and commercial needs when buying, selling, leasing, and property management. Terry understands first hand that buying and selling real estate can be stressful at times. Terry's top priority is to walk his clients through each step, ensuring complete understanding, and preparing his clients for what comes next to make the process as seamless as possible from start to finish. If you're looking for an agent you can trust to uphold the core values of the fiduciary relationship between agent and client do not hesitate to contact Mr. Terry Todd, he takes great pride in the opportunity to make your real estate dreams a reality.